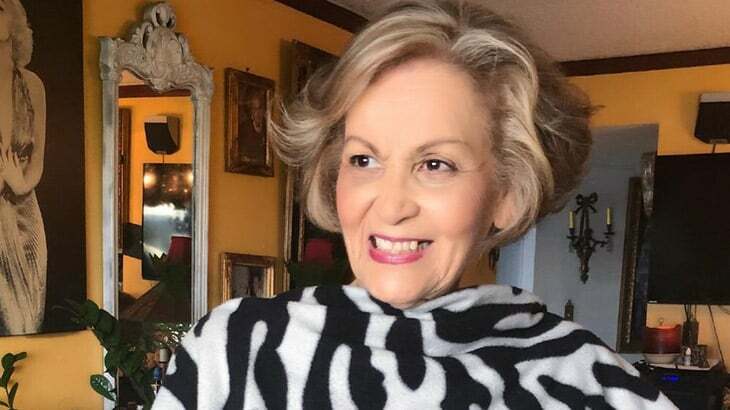 After earning a degree in Education, Lourdes Atencio worked as a teacher in her native country of the Dominican Republic, in 1973, seeking new challenges, she moved to Massachusetts where she pursued studies and organized activities promoting Hispanic culture while working in the fashion design industry and raising three daughters. 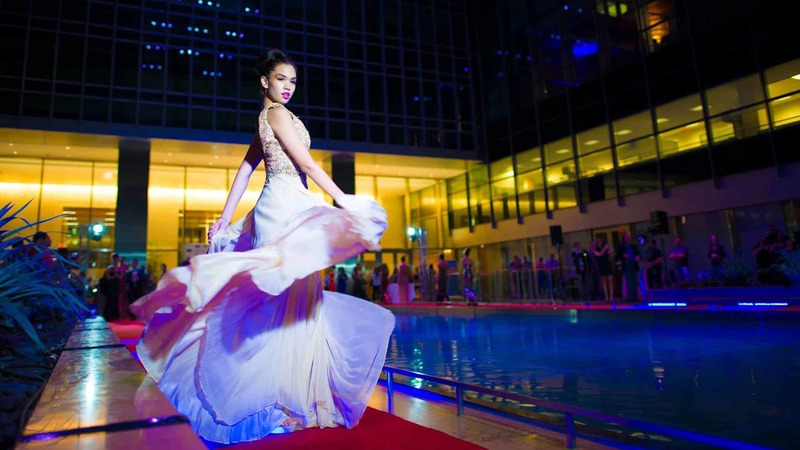 Lourdes’s Avant-Elite design label caters to an exclusive clientele including top models, media personnel and socialites. 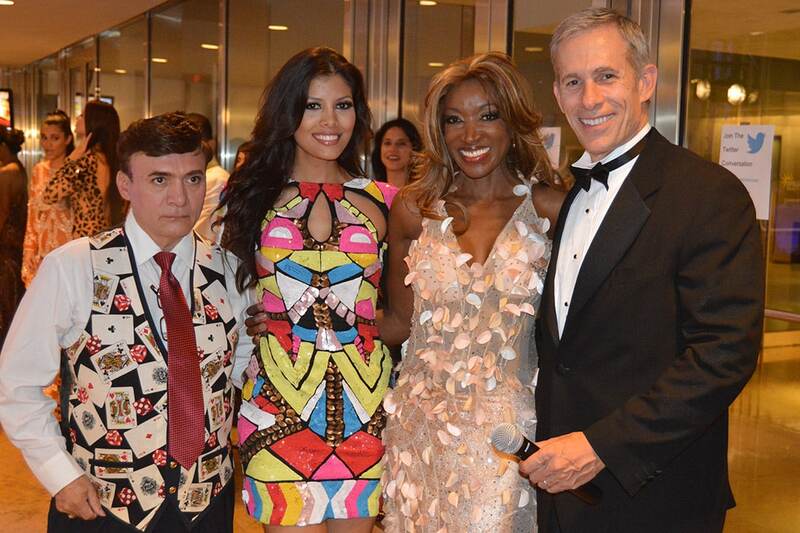 Her designs have been featured on the Despierta America and Primer Impacto television programs. Aero Mar and Falcon Airlines have commissioned Lourdes to design their work and leisure uniforms and her gowns are currently being sold at exclusive Madison Avenue boutiques. Lourdes’s designs have been featured in numerous charity fundraisers, beauty pageants and fashion shows including the couture show presented in conjunction with the 2003 launch of Mercedes-Benz’s “Maybach” in Greenwich, CT, USA International Fashion Shows and the Crystal Ball Society’s 2003 gala at Bruno’s in New York City, Nuestra Belleza, Miss Florida, Miss Flower International, and Miami’s Fashion Week of the Americas. Her breathtaking evening gowns were worn by Miss Canada and Miss Nicaragua in the 2003 Miss Universe pageant. Some of Lourdes’s stunning designs were recently featured as part of a photo shoot done at Le Cirque restaurant in New York City for Black Tie magazine as well as in the hefty coffee table book I Do: 100 Years of Wedding Fashion by prestigious London publisher Co & Bear with photographs by Andres Aquino who later became show producer and CEO of International Fashion Shows. Selected for their exquisite workmanship and innovative spin on traditional form, photos of Lourdes’s wedding gowns appear in the book along with those of top designers including Christian Dior, Betsey Johnson, Yves Saint Laurent and many others. 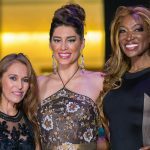 She was recently invited to present her collection to a gathering of dignitaries and socialites in the Dominican Republic, including that country’s President and First Lady. 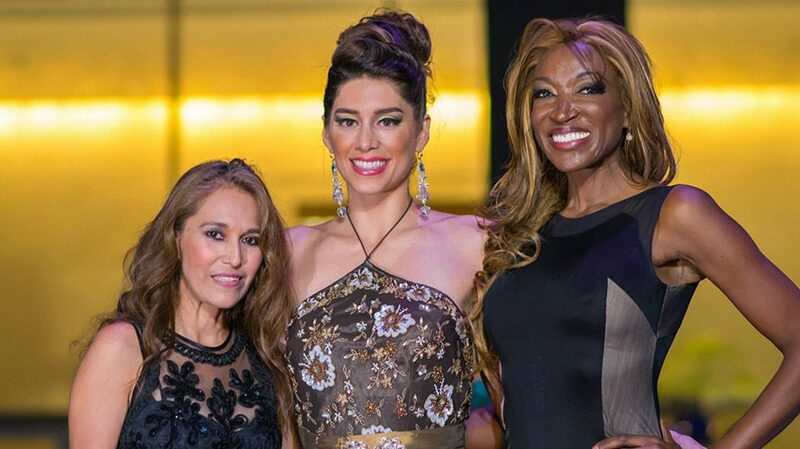 Lourdes Atencio’s designs have been featured at many of the Champagne Fashion Brunch shows by producer Andres Aquino in New York. USA International Fashion Shows specializes in runway fashion shows featuring both national and international designers of couture and finely tailored garments and distinctive accessories, many showcasing in the USA for the first time.